Visit Blue Senses Villas and enjoy a luxurious and peaceful stay! 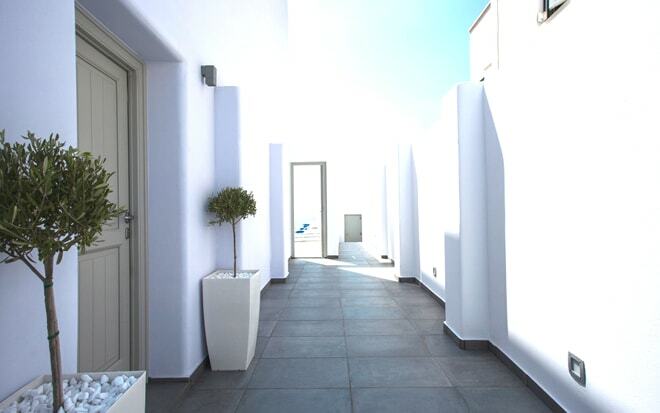 A 2016 complex built in line with the original Cycladic architecture and the island’s tradition. 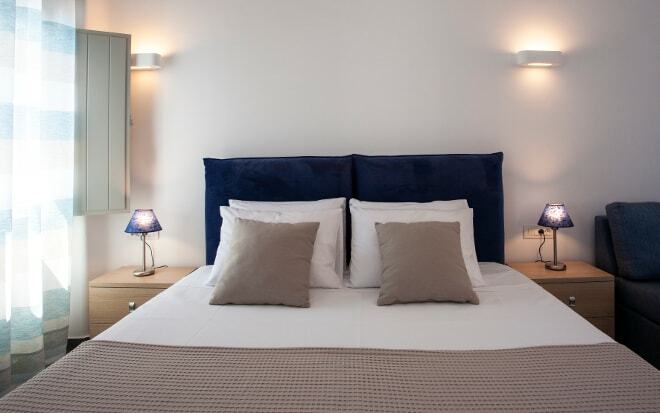 Visit the two fully autonomous villas, enjoy a relaxing bath in the brand-new Jacuzzi-pool and discover how the Cycladic features are harmonized with modern facilities. 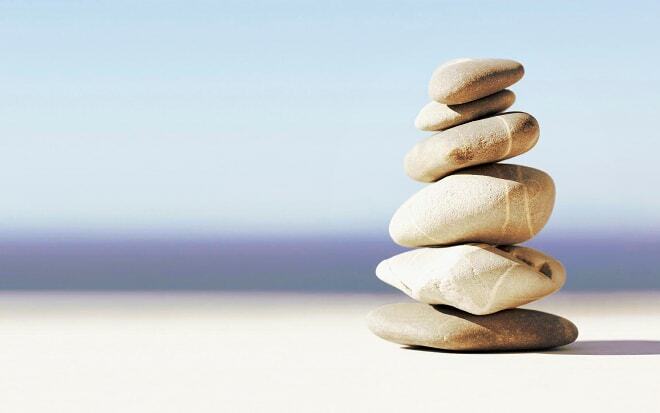 Experience the serenity offered by Blue Senses Villas even within a walking distance from the local market. 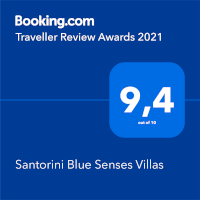 Blue Senses Luxury Villas complex is located at the outskirts of the picturesque and traditional village Messaria, only 3.5 km from the Santorini's capital Fira, 3 km from the beautiful beach Monolithos and 5 km from the popular resort Kamari. Very close to the complex you will find local bus stations for all the island destinations, supermarkets, restaurants, coffee shops, wineries, a pharmacy and a medical center. Even though the Suites as are located in a central place, our guests have the sense of great privacy. The local architectural style dominates both the inside and outside of the villa, highlighting the comfort and attention to detail that will make your stay an unforgettable experience. make "Blue Senses Villas" social..